Although the DDD study is no longer recruiting patients we will continue to receive samples until June 2015 — please don't delay in sending your samples back! Even if your child is unable to give a saliva sample, please make sure to send back samples from both parents anyway. We are able to use blood-extracted DNA from the local genetics centre for the child if needed. Children who are unable to spit directly into the sample tube can use the sponges provided to soak up saliva. Instructions (and video) are provided below. 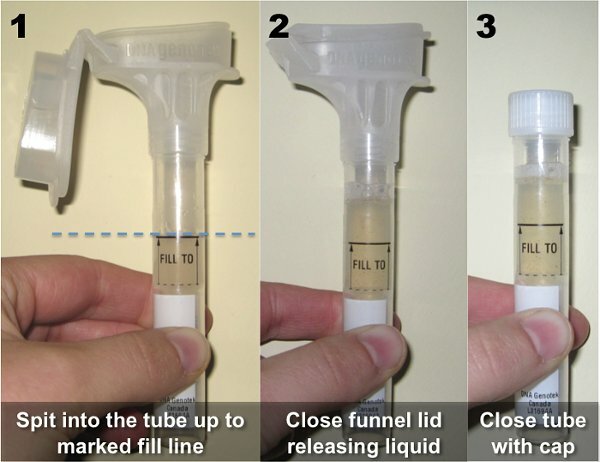 Adults and children who are able can just spit directly into the sample tubes. Instructions are provided below, and are available in different languages. If you are having trouble viewing the video, please try this alternative. 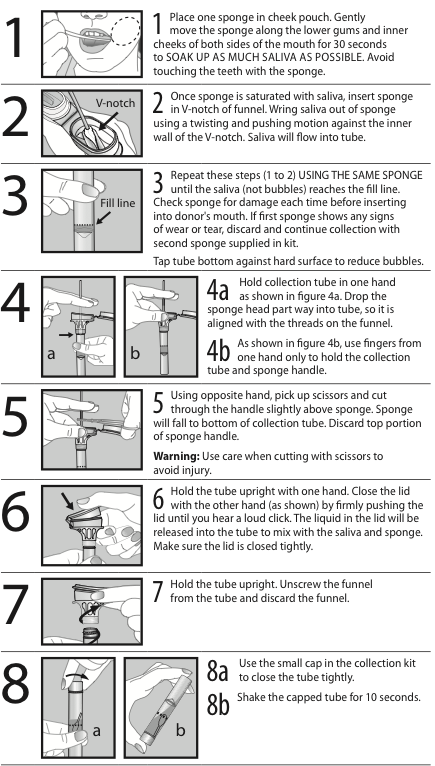 There is also a video available with sample collection instructions for adults.